LOGISTEC Corporation (TSX: LGT.A and LGT.B) is pleased to announce its continuing expansion in the U.S. Gulf with the acquisition of Pensacola Stevedore Company, Inc. (“Pate Stevedore”) on May 25, 2018. Pate Stevedore provides professional cargo handling and distribution services at its Florida operations. With this new addition to the LOGISTEC family, LOGISTEC’s network grows to 61 terminals in 37 ports across North America. Under the stewardship of the Pate family, Pate Stevedore has for several decades worked throughout the U.S. Gulf from Panama City to Pascagoula and like most companies whose services have withstood the test of time, Pate Stevedore has experienced both growth and change and today it is a well-established cargo handling service provider based in Pensacola with terminals in Pensacola, Milton and Panama City, Florida. The Pate dedication to providing superior quality service along with its commitment to leadership in cargo handling and logistics represents another key step in LOGISTEC’s vision of providing customers transiting the U.S. Gulf with a unique, safe and integrated service offering. Like LOGISTEC, Pate Stevedore has a strong set of values and a dedicated team which continually strives to find innovative solutions for customers. Pate Stevedore will continue to operate under the same name for now, under the supervision of Matthew Pate who joins the LOGISTEC family as General Manager. The LOGISTEC family is growing, now with over 2,400 people across its network, all with a common goal of going beyond for their customers. This acquisition represents LOGISTEC’s continued commitment to look for ways to exceed customers’ expectations by coming together to share best-practices across its growing network. LOGISTEC is based in Montréal (Québec) and provides specialized services to the marine community and industrial companies. 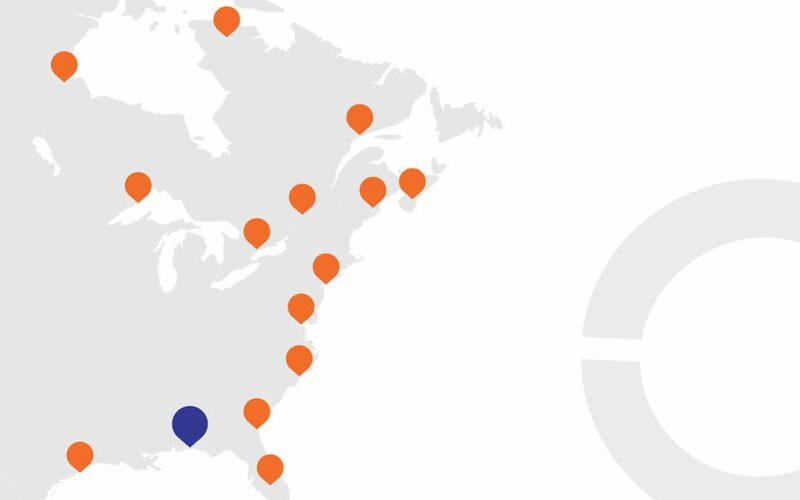 It offers bulk, break-bulk and container cargo handling throughout a network of facilities in eastern North America. In addition, LOGISTEC offers marine transportation services geared primarily to the Arctic coastaltrade, short-line rail transportation services, as well as marine agency services to foreign shipowners and operators serving the Canadian market. LOGISTEC also operates in the environmental sector where it provides services to industrial, municipal and governmental customers for the trenchless structural rehabilitation of underground watermains, regulated materials management, site remediation, risk assessment, and manufacturing of woven hoses. A public company since 1969, LOGISTEC’s shares are listed on the Toronto Stock Exchange (TSX) under the ticker symbols LGT.A and LGT.B. For more information, please visit www.logistec.com. For the purpose of informing shareholders and potential investors about LOGISTEC’s prospects, this press release contains forward-looking information, within the meaning of securities legislation, about LOGISTEC ‘s activities, performance and financial situation and, in particular, hopes for the success of LOGISTEC’s efforts in the development and growth of its business. This forward-looking information expresses, as of the date of this press release, the estimates, predictions, projections, expectations or opinions of LOGISTEC about future events or results. Although LOGISTEC believes that the expectations produced by this forward-looking information are founded on valid and reasonable bases and assumptions, this forward-looking information is inherently subject to important uncertainties and contingencies, many of which are beyond LOGISTEC’s control, such that LOGISTEC’s performance may differ significantly from the predicted performance expressed or presented in such forward-looking information. The important risks and uncertainties that may cause the actual results and future events to differ significantly from the expectations currently expressed are examined under “Business Risks” in LOGISTEC’s annual report and include (but are not limited to) the performances of domestic and international economies and their effect on shipping volumes, weather conditions, labour relations, pricing and competitors’ marketing activities. The reader of this document is thus cautioned not to place undue reliance on this forward-looking information. LOGISTEC undertakes no obligation to update or revise this forward-looking information, except as required by law. Additional information relating to LOGISTEC can be found on SEDAR’s website at www.sedar.com and on LOGISTEC’s website at www.logistec.com.